We specialize in focus groups, mock trials, surveys, and more! Surveys, Focus Groups; online and offline custom research conducted using our in house staff. Whether you are the analyst or a brand needing research assistance, we can help you achieve your goals. Over 70 years of research experience plus endless partnership opportunities with industry experts. We enjoy helping non-profits, fitness facilities, cities, and major brands position for the future. Facilities positioned so we can recruit participants from (Eastside) Spokane, Stevens, Kootenai, Pend Oreille, Lincoln, and (Westside) Pierce, King, Snohomish, Kitsap and Thurston Counties! Quality analysis, superior statistical expertise, in-depth user-friendly deliverables, and competitive pricing allow us to provide our clients with the accurate research they need to succeed in the marketplace. Since 1996, Strategic Research Associates has offered full-service qualitative and quantitative market research to organizations big and small. 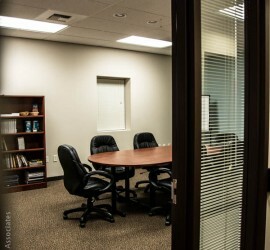 With two full service focus group facilities, one in Spokane serving Eastern Washington and the other in Federal Way serving Western Washington we have spaces strategically placed throughout the state to facilitate both regional and statewide research projects. All projects are managed from our main office staff based in Spokane, which includes a dedicated 10 station call center continually manned with professional recruiters to collect your data, and recruit the participants needed for our research studies. Call, submit a quote request online, or email for next day estimates or to discuss your upcoming project. To learn more about taking part in our research check out our About site.